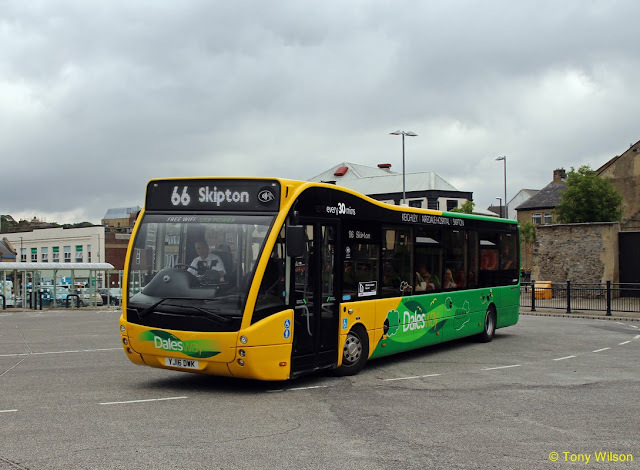 The Harrogate Bus Company has unveiled their all-electric Volvo7900e-buses destined to create Britain’s first low emission bus town. 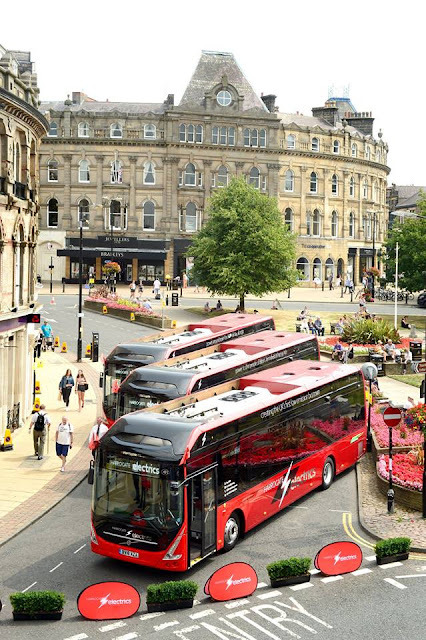 The Transdev-led initiative is a joint investment of almost £4 million is bringing eight new high-tech “Harrogate Electrics” single deck buses to the town, after the operator became the only bus firm in Yorkshire to win funding of £2.25 million from the Government’s Low Emission Bus Scheme. The ground-breaking fully electric buses are delivering a silent revolution in the Swedish city of Gothenburg, where they have proved so quiet in operation that a bus stop has been placed inside the city’s university library. 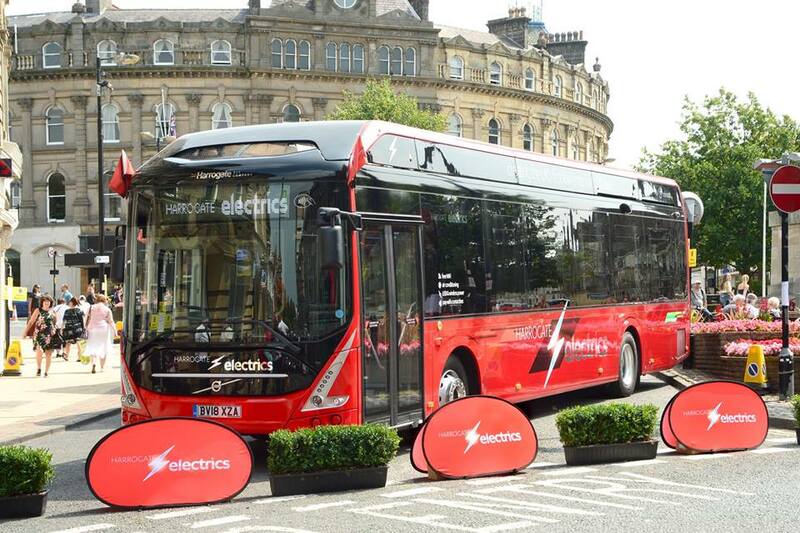 Now the buses, which will operate under the name “Harrogate Electrics” are to enter service for the first time in the UK next month on three urban routes in the North Yorkshire spa town, as soon as upgraded power supplies are in place. The company has worked closely with manufacturer Volvo on a bespoke specification for the new buses, packed with customer-friendly features including ‘countdown to departure’ destination displays, audio-visual next stop announcements, USB at seat power points, Wi-Fi and wireless mobile device charging. Northern Powergrid to install the infrastructure for the new buses. Charging masts are in place above three departure stands in Harrogate Bus Station, each fitted with a built-in transformer which converts uprated power at 1600 volts AC into a 600 volts DC supply, delivered via a pantograph on the roof of the bus. In addition, each bus will receive an overnight charge at the depot every two days to maintain peak performance. CEO Alex Hornby explains: “Each bus will receive a rapid power charge at the bus station as customers board the vehicle, providing enough power from a seven minute charge to complete 35 miles – which is ample to support the three routes on Harrogate’s urban bus network where these buses will run. 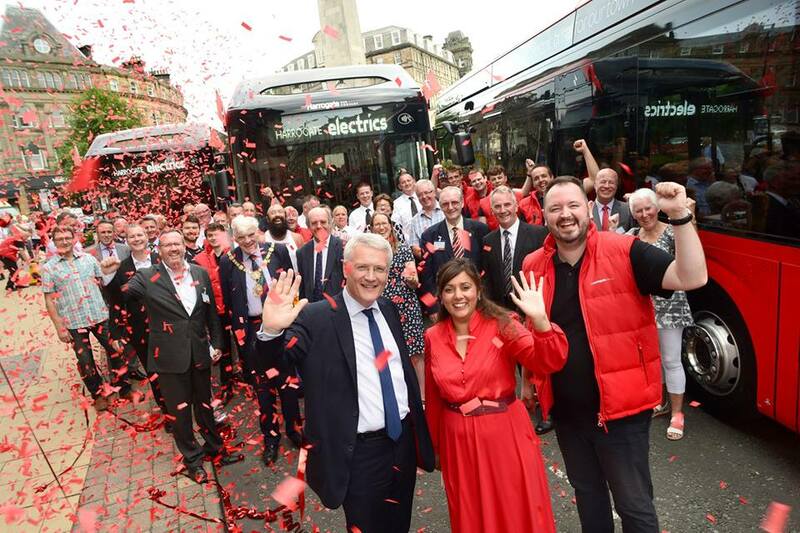 Buses Minister Nusrat Ghani said; “I am delighted that the Harrogate Bus Company has taken advantage of the government’s Low Emission Bus Scheme and is doing its part to make motoring cleaner. Transdev was one of only 13 organisations across the country, and the only one in Yorkshire, to bid successfully for finance from the Government’s Low Emission Bus Scheme towards the cost of the buses and infrastructure. Transdev itself is investing £1.7million alongside the Department for Transport finding of £2.2million.